Fanning Springs, Florida, is a unique place, and it’s not just because it’s one of three Florida cities that straddle two counties. In addition to being in both Gilchrist and Levy counties, Fanning Springs is the home of Fanning Springs State Park, a very popular recreational site. The city is also home to Fort Fanning, which was built in November 1838. Lastly, it is a place with opportunity, such as investing in a self-storage facility in Fanning Springs FL that is currently up for sale. There is a lot about Fanning Springs State Park FL that makes it special, but Fanning Spring is definitely the best feature. Fanning Spring provides clear, 72-degree water that can be the perfect cool-down on hot summer days. There is an abundance of underwater wildlife, including a pair of manatees, at the park. Park visitors can enjoy many fun outdoor activities, including paddling, fishing, snorkeling, scuba diving, swimming, hiking, primitive camping, and boating. There is also a canoe and kayak launch, a picnic pavilion, and all of the expected amenities. Divers enjoy exploring the sunken 90-foot Union gunboat located near the mouth of the spring. The gunboat sank from Confederate fire. Although swimming in the clear spring water is the favorite activity among visitors, it is also a thrill to hike through the park and see swampy sites that represent Old Florida. History buffs love to visit Fort Fanning, which was built during the Second Seminole War. The Fort’s primary purpose was to protect the Suwannee River, which was heavily used and of strategic importance. In 1936, about a century after the fort was established, a bridge was built over the Suwannee River near Fort Fanning, and it was the southernmost bridge spanning the river at that time. The four-lane concrete bridge is still there today. History is great, but Fanning Springs is also where you can make your own mark. 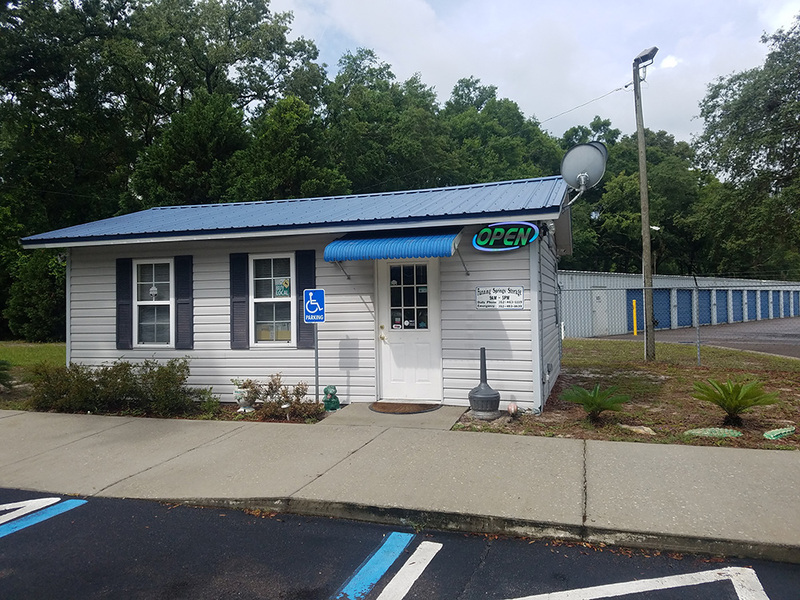 Anyone looking for an investment property may want to consider becoming the commercial property owner of Fanning Springs Storage. The facility is in a prime location near a new residential and commercial development and only 3 miles from flourishing Chiefland, Florida. The 8.8-acre self-storage property offers 294 units for use by tenants. The broker handling the sale is local company Weaver Realty Group, Inc. An added benefit is that Weaver is an Argus Affiliate. Argus is the Premier Self-Storage Brokerage Firm in the U.S.
Self-storage properties often bring in the highest total annual returns, considering averages at the 5, 10, and 15-year marks. As an investment, self-storage has proven to be virtually recession-proof. The facilities can offer a wide variety of features, to meet the needs of local residents. Loading docks, climate-controlled units, and modern security features are among the qualities that can help to attract customers. Weaver Realty Group is a local real estate brokerage firm with an experienced team of professionals working on self-storage brokerages. Fanning Springs Storage is currently for sale. If interested, contact Weaver Realty Group’s Josh Koerner at (904) 591-0140 today. Fanning Springs, Florida, is a great place to put down roots and perhaps sink some money into a great investment opportunity.